We are the Airdrie appliance repair team, which can help you anytime you have trouble either in the laundry room or kitchen. Get in touch with us if you want same day service. Ask our help if you want to replace parts or install a new appliance. At Appliance Repair Airdrie, our techs are all qualified and factory trained to service gas and electric home appliances. After years of repairing and installing appliances of the most popular brands, we only bring experience to the job. We utilize advanced equipment to diagnose problems and will replace the damaged appliance parts with the best available on the market. 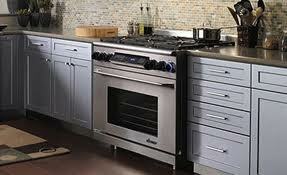 With expert appliance repair services, customer satisfaction is guaranteed. Whether you want to fix a problem with the fridge or microwave oven, our local home appliance repair team will be at your disposal. Our techs do our best to serve you as quickly as possible and are always equipped to do their job accurately. With a wide fleet of well-equipped service vehicles and expert appliance repair technicians, every job is completed the first time and effectively. We are all updated and ready to install any last generation appliance and deal with complicated problems. Our company keeps the rates low and competitive to allow you to get in contact with us every time you need expert work in your kitchen or laundry room. 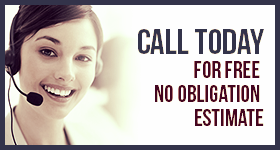 For professional and timely service, choose to call our Airdrie Appliance Repair.